I've been following the Pete Plan and subsequently the Interactive plan for a couple of years, and am seemingly reaping the benefits of the extra volume and lower rate work that the interactive plan calls for. 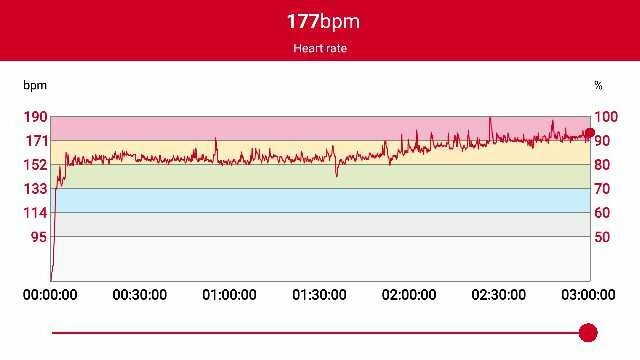 I am however conscious that my ut1 and ut2 workouts are scarcely within the nominal heart rate brackets suggested, though do seem to reflect the bands of effort suggested by my polar heart rate monitor. I was discussing this with a work colleague who is currently training for an ultra marathon in the Peak District (50km up and down hill - sounds delightful ) and he was extolling the virtues of a training manual which suggested rating effort on a scale of 1-10. Moreover, in preparation for an ultra there was no recommendation to train past half the proposed maximum distance. I raise this given my inexperience of rowing and frankly meaningful training in general. 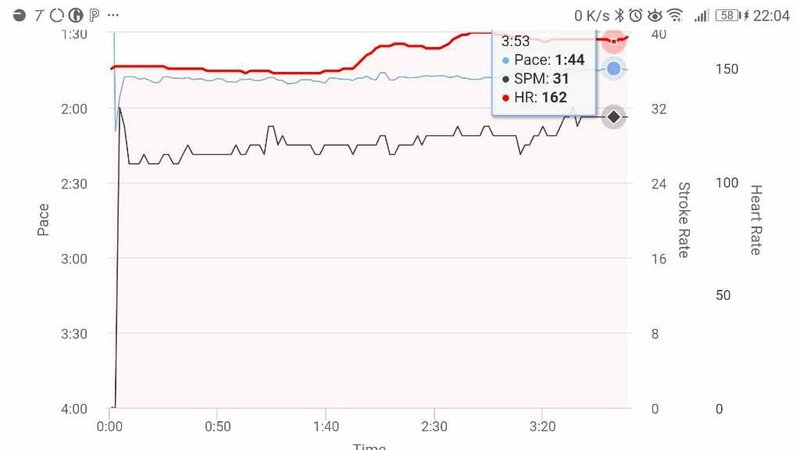 As a case in point, I apparently spent the last half an hour of my marathon row this morning at maximum heart rate (yet I was not out of breath, and actually making conversation immediately after stopping). Last edited by Ian Bee on Wed Feb 13, 2019 1:15 pm, edited 1 time in total. It would be interesting to hear from anyone who has tried perceived exertion training because I can't really get my head around it when I have a data from a PM5 and HR monitor. Ian, As I've only started HR training this year I'm certainly no expert but your comment about spending 30 mins at max HR sounds impossible. Having done a Step test a few weeks ago I maxed at 172 and it was as brutal as the end of a 2k race. Your graph also seems to show a spike in HR to190? The spike seems odd but if right it means your max is at least 190. And just to confuse things a little more UT1, UT2 etc HR percentages often refer to % of HR Reserve rather than a straight % of HR maximum. I think Polar use a straight % of max HR. I've also read they suggest max HR is 220-age which for many people will be wrong and could lead to training in a different zone. Hi Ian, I agree with max, your marathon row would suggest your max HR is now higher than you think. This would change all the band ranges. Just using the finger in the air 220-age you are at least 180, which probably suggests 185 or more (2 spikes above that). Thanks Max and Wolfie. I had feared the answer would be along the lines you have outlined. My excuse is that my new gym shoe were sufficiently slippery that my feet kept on slipping out. As a result, the flat out rep was a slightly odd paced beast: definitely sub 2km pace but way off what the step test required (trace attached). Second attempt is called for.